03/15 Links Pt1: Murderers are needed, says Fatah, glorifying killer of 10; Dermer: Trump’s Jerusalem move is ‘shock therapy’ for Palestinians; Gaza - let their people go! Murderer of 10 is "heroic prisoner" "We are proud of you... our people needs men like you"
"Heroic prisoner Thaer Hammad, we are proud of you. Allah willing you will soon be among us, our people needs men like you." Dr. Martin Sherman: Gaza - let their people go! The crisis in Gaza is not one that funding can solve. The recent spate of reports warning of the looming humanitarian crisis in Gaza shows the magnitude of the failed attempt to give Palestinian Arabs self rule over a quarter of a century. The US has given over 5 billion dollars to the Gazans in aid, making them one of the countries which receives the most foreign aid funding per capita in the world. 2. 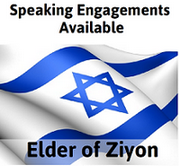 Self government, stability and prosperity that might make Gazans more amenable to peace with Israel. None of these priorities have been achieved. The Gazans are governed by a corrupt and uncaring leadership. The entire civilian infrastructure is on the verge of collapse,with perennial power outages, failing sanitation services, untreated sewage, polluted water, all due to a dysfunctional government - and all of this has nothing to do with Israel. What is Gaza manufacturing? Missiles. What is it constructing? Terror tunnels. Palestinian Arabs are constantly urged by their leaders to engage in rage. Indeed, Abbas walked out of the UNSC meeting, not bothering to hear Ambassador Haley’s speech. As the clock ticks with time seemingly not on their side, changing political landscapes in the USA and Europe, frustration by traditional Arab allies nervously watching Iran and with UNRWA being reassessed and seen as part of the problem, Palestinians can only be dismayed as their lives seem to be going nowhere. The less charitable might say they are going down. Unfortunately rage, greed, misappropriation of international aid and ongoing victimization are not policies, let alone providing a promising future for talented Palestinian Arabs dreaming of a prosperous and peaceful life. While experts consider various solutions to the Palestinian Arab problem, ranging from a 2-state solution, land swaps, a single state, a Jordan solution, a Gaza- Sinai solution, population transfer with compensation, and other variants,- none of which have satisfied the PA - Chile is an example of what could be possible. Chile reportedly has the largest Palestinian Arab community outside the Middle East, estimated at 500,000 in a total population of nearly 18 million dwarfing the Jewish community of 25,000. Palestinian Arabs therefore are a much higher proportion of Chile’s population than Jews anywhere in Europe. In France, there are also about 500,000 Jews, but in a population of almost 67 million. In addition to the despairing educated PA millennials in Judea/Samaria, all but forgotten Palestinian Arabs in Lebanon and Syria have been impoverished and massacred. On the other hand, Palestinian Arabs in Chile continue to enjoy significant success, by any standards. Palestinian Arabs arrived in Chile in the second half of the nineteenth century, mostly poor and illiterate, having embarked on ships from Haifa, Beirut and Alexandria. This occurred during Turkish Ottoman rule, long before Israel’s establishment in 1948. Preoccupied by the political crisis that threatened to bring down the ruling coalition, politicians in Jerusalem on Tuesday overwhelmingly ignored the news of the United States getting a new secretary of state. There is no doubt, however, that Prime Minister Benjamin Netanyahu and most members of his government were delighted to learn that US President Donald Trump had fired the incumbent Rex Tillerson and tapped current CIA director Mike Pompeo for the job instead. News of Pompeo’s appointment broke as Israel’s political establishment still teetered on the brink of snap elections, but even hours after that crisis had been resolved, neither Netanyahu’s office nor the Foreign Ministry or any other top official issued any comments or offered congratulations to America’s new top diplomat. Tillerson, who learned about his unceremonious dismissal from a Trump tweet, was considered by Jerusalem a friendly secretary of state. A former oil tycoon, he had no previous ties to the Jewish state, but seemed on board with the administration’s general pro-Israel positions. He was certainly no John Kerry, who pushed and criticized Israel on the peace process and promoted a nuclear deal with Iran that Israel said threatened the peace of the entire world. PA Chairman Abbas used President Trump's decision to recognize Jerusalem as Israel's capital as an excuse to "check out" of the U.S.-led peace process. He was afraid of the U.S. peace plan coming his way. The Palestinian leadership does not want to return to negotiations. They feel that the Arabs have lost much of their enthusiasm to actively support the peace process. The Arab reaction to the U.S. decision on Jerusalem was rather moderate and not what the Palestinians expected. When Turkish President Erdogan convened an Islamic summit in Istanbul to protest the U.S. decision, only two Arab leaders showed up, Jordan's King Abdullah II and Abbas. Most Arab leaders are highly critical of Abbas and Palestinian dysfunctionality, and a number have developed close, below the radar relationships with Israel. Yet Abbas is in a position to accuse Arab leaders of betraying support for Jerusalem, a highly sensitive and emotional issue which could damage them on the "Arab street." This weakens the hand of those who were hoping that the Arab states would play an effective role in the peace process. Palestinian Authority President Mahmoud Abbas reiterated this week that given the Trump administration's blatantly pro-Israel policies, the United States cannot claim to be an impartial mediator in the Israeli-Palestinian peace process. First, the Palestinian Authority plans to remain steadfast in its refusal to resume diplomatic relations with Washington, and Abbas will not meet with U.S. Special Representative for International Negotiations Jason Greenblatt or any other White House envoy. Second, the Palestinian Authority refuses to accept the Trump administration's Middle East peace plan and will continue to leverage the Arab world's objection to President Donald Trump's Dec. 6 recognition of Jerusalem as Israel's capital. In the weeks following Trump's dramatic announcement, the U.S. tried to convince allies Saudi Arabia, Jordan and Egypt to publicly support the move, but Abbas was able to undercut these efforts. And third, the Palestinians will reject any U.S. or European pressure to shelve their diplomatic onslaught against Israel. The sad truth is that Abbas flees from any negotiations that would force him to actually compromise. He and his predecessor, Yasser Arafat, fled from the 2000 Camp David summit at which then-Prime Minister Ehud Barak offered shared recognition of the Temple Mount's holiness to both Judaism and Islam. He fled a decade ago when then-Prime Minister Ehud Olmert offered to split Jerusalem in exchange for the Palestinians relinquishing the "right" of return. In recent years, he has categorically refused to enter negotiations until Prime Minister Benjamin Netanyahu withdraws his demand that the Palestinians recognize Israel as the Jewish nation-state. At the moment, he is holding on to Trump's declaration as an excuse to continue running away from talks with Israel, even though Washington has made it clear that its recognition has no bearing on the fate of the Middle East. Instead of negotiating, Abbas is seeking help abroad to bring about a new U.N. Security Council resolution favoring the establishment of an independent Palestinian state and trying to achieve full member status in other international organizations in the hope that global powers will intervene more to force a settlement on Israel. There is no escaping the conclusion that Abbas, at 83 and in deteriorating health, is less enthusiastic than ever to take part in a process that would end with his having to make a complicated and difficult historic decision. It is even more difficult for him to commit to this because his reputation among the Palestinian population is in the gutter and Hamas ceaselessly accuses him of collaborating with Israel. It appears he would prefer to leave peacemaking and its accompanying headaches to his successor. This way, he will be written into history as one who did not surrender an inch of "Palestine." However, this does not mean that Israel should stop worrying about the future or stop trying to speak with the moderate Arab countries that also worry about Gaza's fate. It also does not mean Israel should stop brainstorming to outline what is desirable or possible for Judea and Samaria. US President Donald Trump’s recent moves on Jerusalem constituted “shock therapy” against Palestinian rejectionism, which is the real obstacle to peace, Ambassador to the US Ron Dermer said in Washington. Dermer said that there is no peace today between Israel and the Palestinians because of a Palestinian refusal to recognize the legitimacy of the right of the Jews to a state in Israel within any boundaries. “Dealing with this Palestinian rejectionism is critical if you are going to advance peace, and the rejectionism is strongest, and of course most absurd, when it comes to Jerusalem,” he said. Dermer mocked the phrase that Palestinian officials often use – that Israel is trying to “Judaize Jerusalem,” saying this is akin to saying that the Chinese are “Sino-fying” Beijing, or the Russians are “Russo-fying” Moscow. The Independent has claimed that it was perfectly acceptable for one of its most senior correspondents to suggest that American Jewish diplomats cannot be trusted to be even-handed in discussions with the Palestinians. Mr Fisk, who has been The Independent’s controversial Beirut-based Middle East correspondent since 1989, suggested in an opinion piece on 11th January that it was relevant to discuss the fact that peace envoys sent by the United States to negotiate with Israel and the Palestinians have often been Jewish, and that might impact their performance. Though Israel is the Jewish State, that surely cannot mean that nations will be subjected to adverse scrutiny if some of the diplomats whom they dispatch there are Jewish. Indeed the only plausible explanation for Mr Fisk’s reference to the Jewish envoys’ religion would appear to be that he considers it unlikely that Jewish envoys could really be “even-handed [and] neutral”. That would seem to amount to a charge of dual loyalty by suggesting that Jewish envoys are more loyal to the interests of Israel than of the government of the United States which they serve. In the words of the International Definition of Antisemitism, “Accusing Jewish citizens of being more loyal to Israel, or to the alleged priorities of Jews worldwide, than to the interests of their own nations” is antisemitic. Nikki Haley, the U.S. ambassador to the United Nations, bet she could compel others to help America shoulder the financial burden of aiding Palestinian refugees if only the U.S. choked off its own humanitarian aid spigot. So far, the Palestinians have come up empty-handed. Two months after the United States withheld $65 million in pledged funding to a U.N. agency that serves more than 5 million Palestinian refugees, no other country has stepped forward to increase its 2018 funding pledge. In an effort to address the sudden cutback in U.S. aid, ministers from nearly 90 countries will meet in Rome Thursday for a major funding conference on Palestinian aid. The conference — which is being convened at the request of U.N. Secretary-General António Guterres and co-chaired by foreign ministers from Egypt, Jordan, and Sweden — will test whether Haley’s strategy will shock the rest of the world into meeting the gap created by America’s retreat from Palestinian aid. It will also place the U.S. delegation in the awkward position of defending U.S. cuts to Palestinian refugees, including those in Syria, at a time when the Trump administration been making the case for stepping up humanitarian relief to Eastern Ghouta and other besieged parts of Syria. For decades, the United States has provided the largest share of funding to the U.N. Relief and Works Agency, which provides schooling, health care, food, and other vital services to Palestinian refugees in Gaza, the West Bank, Jordan, Lebanon, and Syria. In 2017, the U.S. gave more than $360 million to UNRWA. In January, the United States nearly halved the first installment of its pledged contribution to UNRWA, signing a check for only $60 million rather than the expected $125 million. Washington also mandated that none of that money could be used to support programs for Palestinian refugees in Lebanon and Syria. The United States subsequently blocked the distribution of an additional $45 million in emergency food aid for Gaza and the West Bank. The cuts in U.S. funding, which makes up about 30 percent of the agency’s annual operating budget, has precipitated the greatest financial crisis in its nearly 70-year history, according to an UNRWA spokesperson. Global powers will gather in Rome Thursday to discuss the future of the UN agency for Palestinian refugees, which faces an unprecedented crisis after the US froze hundreds of millions of dollars in funding. The United Nations Relief and Works Agency (UNRWA) only has enough funds to keep schools and medical services open until May, its commissioner general Pierre Krahenbuhl told AFP. US President Donald Trump’s administration has so far committed only $60 million to the agency this year, down from $360 million in 2017. Trump continues to pressure the Palestinians to end their boycott of his administration sparked by his December recognition of Jerusalem as Israel’s capital. A major funding drive launched by UNRWA after the US freeze has raised little new money and diplomats are not optimistic about getting major pledges in the Italian capital. UN officials want European countries to step in to fill part of the gap but are especially looking at Gulf Arab countries. Germany’s new foreign minister said Wednesday that he entered politics because of the Holocaust. “For me, German-Israeli history does not only entail a historic responsibility. For me personally, it is a deep motivation of my political activity,” Heiko Maas said at his inauguration at the German Foreign Office headquarters in Berlin. “With all due respect, I did not enter politics because of [former chancellor] Willy Brandt. I also didn’t go into politics because of the peace movement or ecological issues. I entered politics because of Auschwitz. And that’s also why this part of our work is especially important to me,” he said. The 51-year-old Social Democrat had been scheduled to speak at the Israeli Foreign Ministry’s 6th Global Forum for Combating Antisemitism, which is taking place next week in Jerusalem. But organizers said Wednesday that it was still unclear whether Maas would be able to attend the conference. Maas last visited Israel in February 2017. On the eve of Israel’s 70th birthday, “the fateful connection [between Germany and Israel] is becoming especially palpable to us, just as the miracle of friendship that has developed between us,” Maas said in his speech Wednesday, before departing Berlin for his first foreign trip, which took him to Paris. A Polish nationalist lawmaker defended his meeting in Lebanon with leaders of the Hezbollah terrorist organization, who gave him a medal. Paweł Skutecki of the anti-establishment Kukiz’15 party met on Monday with Mohammad Raad, the head of the parliamentary faction representing the Shi’ite militia in the Lebanese lower house. Klaudia Klimek, a political activist and president of the Krakow branch of the TSKZ Jewish cultural group, suggested that Skutecki’s party, which the Austrian Der Standard newspaper has called “radical nationalist,” was a provocation aimed at Israel and Jews in the debate about rhetoric on the Holocaust in Poland. A very significant portion of my life has been devoted to personally combating Russian anti-Semitism. I experienced firsthand the extent of hatred against Jews that was ingrained in most Soviet leaders and bureaucrats. I will never forget the day when a leading KGB officer proudly told me it would be the happiest day in his life to see Jews being strung up from the lamp posts in Moscow's streets. Russian anti-Semitism dates back centuries. It was encouraged by the Russian Orthodox Church and the czars perpetrated pogroms to divert attention from social issues. While the Communists initially condemned anti-Semitism, in practice they maintained it as a state policy. Given all I have witnessed and battled against during the campaign to free Soviet Jewry, it would be bizarre for anyone to accuse me of being soft on Russian anti-Semitism. But I believe the hysterical attacks on Russian President Vladimir Putin following his recent misplaced comments about interference in the U.S. elections are outrageous and could lead to dire consequences. In a rambling interview with NBC's Megyn Kelly, who was pressing him to respond to allegations of Russian interference in the U.S. elections, Putin facetiously referred to the possibility of Russian Jews being involved. Kremlin agents continue to sow discord and to undermine other nations’ sense of confidence in their leaders, sources reported today, with a new initiative that aims to undercut a central assertion of the Jewish Passover Haggadah, namely that slavery is a bad thing. As millions of Jews prepare for the seven-day festival celebrating liberation from physical and cultural subjugation, Russian intelligence operatives are working to hack certain prominent Haggadah publications and alter their content, with the objective of causing Seder attendees to question whether they want to be free at all, and that perhaps the Egyptian slavemasters are actually the aggrieved party in the whole story. Mesorah Publications, a Brooklyn-based publisher of Jewish texts, confirmed this week that it had detected a security breach in its editing software, and had to recall a batch of Haggadahs from the distributor upon discovered alterations to the traditional text. Other Mesorah publications, mostly in their Artscroll series, have been put on hold pending another review. What will the ICC do with Israel's new report on Gaza war crimes? Since January 2015, the fateful legal question facing Israel has been: Will the International Criminal Court open a full war crimes criminal investigation into IDF conduct during the 2014 Gaza war? Will it dive deep into the Israeli-Palestinian conflict? The State Comptroller’s Report on Wednesday does not give a final answer, but it is the most important piece for that puzzle to come out to date. In terms of consequences, the negative diplomatic and legal impact of an ICC criminal investigation into IDF soldiers could be substantial. On the positive side for Israel, the report said the IDF legal division’s system for investigating its own soldiers complies with international law. Until now, the IDF had issued reports on its soldiers’ conduct in isolated incidents, but there had been no comprehensive evaluation. It also clearly said the political echelon in the form of the security cabinet followed international law with a focus on reducing Palestinian civilian harm where possible and on seriously addressing the humanitarian disaster that resulted from the war. There are also portions of the report where the comptroller said the IDF’s actions to investigate itself went beyond the minimal requirements of international law. 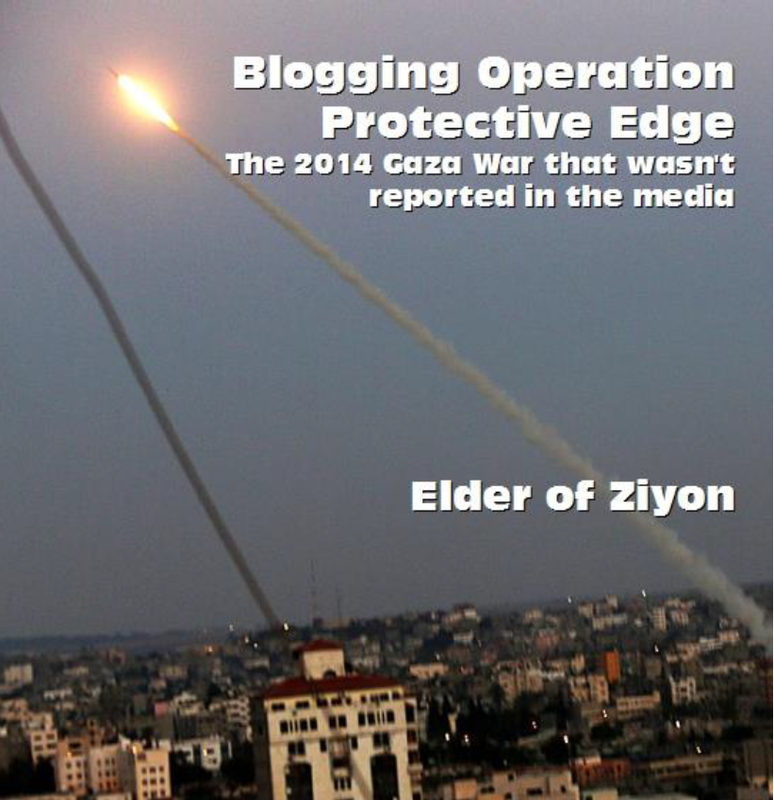 The messiest alleged war crimes incident of 2014’s Operation Protective Edge just got messier. A crucial issue discussed in Wednesday’s State Comptroller Report was the Hannibal Protocol or Black Friday incident. This was the bloodiest incident of the Gaza war in terms of the number of dead Palestinian civilians, and the report contains revelations regarding it. Between 29 and 70 Palestinian civilians were killed during the battles that broke out on August 1 as Hamas killed and bodysnatched Lt. Hadar Goldin in Rafah and the IDF let loose with a massive barrage of firepower to try to prevent Hamas from getting away with his remains. How and why did this happen? What went wrong? From the Israeli perspective, the capturing of any Israeli soldier, dead or alive, is a national embarrassment and can lead to pressure for the release of hundreds of Palestinian gunmen to get the soldier or his body back. The IDF had designed the Hannibal Protocol as an order that could immediately unleash firepower to prevent kidnappers from getting away. Two improvised explosive devices were detonated as a military patrol vehicle drove by the security fence surrounding the northern Gaza Strip on Thursday, prompting the Israel Defense Forces to retaliate with tank fire, the army said. There were no Israeli injuries reported in the IED attack. The army would not immediately comment on how close Israeli troops were to the blast. The IDF later said that an anti-tank missile appeared to have been fired at the patrol, but that it was still confirming this assessment. 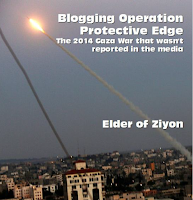 It was not immediately clear which terrorist group in the Gaza Strip set off the explosives. However, in accordance with its policy of holding the Hamas terrorist group, which rules the Strip, responsible for any act of violence emanating from the coastal enclave, the army said it targeted several of the organization’s military positions. “IDF troops retaliated by firing from a tank at positions belonging to the Hamas terrorist group,” the army said. The military later clarified that in addition to striking Hamas targets, it hit a site belonging to the Iran-backed Palestinian Islamic Jihad group. In total, the army said it struck five terrorist positions in Gaza. An initial investigation of Thursday morning’s attack on a military patrol outside the Gaza Strip revealed that in addition to the two improvised explosive devices detonated along the security fence, an anti-tank missile was also apparently fired at the troops, the army said. The army described the early-morning attack as “very serious,” despite the fact that no soldiers were injured and no significant damage was caused to the vehicle. The Israel Defense Forces had yet to determine which terror group was responsible for the attack, but was working to figure it out, army spokesperson Lt. Col. Jonathan Conricus said. The officer indicated that this attack appeared to be part of a growing trend by Palestinian terrorist groups, notably Gaza’s ruler Hamas, to use the regular riots and demonstrations that take place along the Gaza border as cover for military activities. “We will not allow Hamas to turn the security fence into a combat zone,” Conricus told reporters. The Knesset Ethics Committee on Wednesday slapped a one week ban on controversial lawmaker Hanin Zoabi after the Joint (Arab) List MK accused Israeli soldiers of “murdering” Palestinians. The request to ban her was brought by Likud MK Oren Hazan, who himself has been banned from parliamentary activity for six months over a series of complaints over intimidation of fellow MKs. The incident at hand took place when Zoabi was attending a meeting of the Knesset Education, Culture and Sports Committee on February 12, in the run-up to the first reading of a bill that could bar left-wing groups from schools. The bill, which empowers the education minister to ban organizations critical of the Israeli military from entering schools passed its first reading in the Knesset on February 26. There is no doubt that in the meantime, the assassination attempt has torpedoed the implementation of the first stage of the reconciliation agreement, which was the transfer of all governing powers in Gaza from Hamas to the Palestinian Authority. From the outset, Hamas has avoided the implementation of this stage and has made it conditional upon finding a solution to the payment of salaries to around 40,000 employees identified with the movement who have been part of the government sector since 2007. In recent months, Egypt has been leading the reconciliation process alongside Hamas, which had and still has an interest to continue with this process since it made harsh concessions for it to begin. 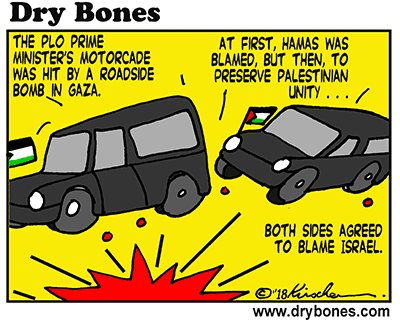 For this reason, Egypt and Hamas are also casualties of the assassination attempt on PA Prime Minister Hamdallah’s convoy. Hamas will need to act quickly to show that it is in control of the security situation and to remove the issue from the agenda so that Mahmoud Abbas will have no excuse to bow out of the reconciliation process. In addition, Egypt, instigator of the reconciliation process, is interested in covering up its failure. It is therefore likely that the process will be frozen for several weeks. However, Egyptian intelligence will wait for what it considers to be a suitable opportunity to renew contacts between Fatah and Hamas. The roadside bomb that struck Palestinian Authority Prime Minister Rami Hamdallah and General Intelligence Services chief Majid Faraj’s motorcade on Tuesday in the Gaza Strip was professionally made, Deputy Interior Minister Muhammad Mansour said on Wednesday. On Tuesday morning, a roadside bomb exploded adjacent to Hamdallah and Faraj’s motorcade in Beit Hanun in northern Gaza, injuring seven members of their staffs and damaging several cars. “The explosion was precisely planned and carried out, which means that it was not done by individuals but rather professionals,” Mansour, who was in Hamdallah and Faraj’s motorcade, told official PA radio. PA President Mahmoud Abbas’s office said on Wednesday that Hamas bears responsibility for the bombing. However, Faraj, who is also a close adviser of Abbas, said that “it is too early to accuse anyone,” but added that Hamas is responsible for securing the lands it controls. Meanwhile, some Hamas officials suggested on Wednesday that Israel carried out the bombing, while other Hamas leaders insinuated the PA did it. Mansour also insinuated that the bombing was meant to strike Faraj and Hamdallah’s bodies. On March 14, 2018, Al-Malahem, the media outlet of Al-Qaeda in the Arabian Peninsula (AQAP), launched a new bulletin named Madad. The first issue of this bulletin is dedicated to Ahmad Nasr Jarrar, a Hamas terrorist who murdered an Israeli in January 2018 and was killed by the Israel Army in early February. Glorifying Jarrar, the bulletin calls him "the heir to the martyrs" and an "icon for the jihad fighters," and holds him up as a role model for Palestinians fighting Israel. It should be noted that Al-Qaeda sees jihad for the sake of Palestine as a supremely important objective, and views the military arm of Hamas (as opposed to its political apparatus) as a legitimate jihad organization, although Al-Qaeda leaders have frequently leveled harsh criticism at the heads of Hamas, and despite the rivalry and resentment between Al-Qaeda and Hamas's parent organization, the Muslim Brotherhood. In this, Al-Qaeda differs from the Islamic State, which sees all parts of Hamas as heretical, and does not prioritize the jihad in Palestine over the jihad in any other arena. However, despite ascribing importance to Palestine, and although it has branches in many arenas in the Middle East, to date the organization does not have a branch fighting openly in Israel. The dedication of the journal's first issue to Jarrar, who was widely acclaimed by the Palestinian public, the glorification of the war in Palestine, and the emphasis on Al-Qaeda's commitment to this war, are part of the organization's efforts to compensate for its weakness in this arena. At the same time, the bulletin also stresses a central Al-Qaeda tenet, namely that, in order for Palestine to be liberated, jihad must first be waged against America, which is "the head of the serpent." Instead of caring for the welfare of Gazans, Hamas only cares about destroying Israel, and dedicates its resources to buying weapons and building terror tunnels. The road to solving Gaza's humanitarian crisis goes through ending Hamas' oppression. Fighters in missile-launching units of the militant Islamist group that governs the Gaza Strip expressed bitterness today at the need to boost their projectiles just to have them cover the desired area, a move that necessitates giving money to the social media giant that artificially suppresses the organic reach of anything the movement puts up. Hamas’s principal weapon in its fight against Israel is its arsenal of rockets, some locally produced but others of Iranian or Chinese origin, but Facebook’s dominance has allowed the company to suppress the spread of items intended for large numbers of people. To attain greater reach, users of institutional “Pages” – as opposed to private individuals’ accounts – must submit credit card information and choose a “boost” option, selecting a monetary threshold that governs the targeting and duration of the boost. Hamas, which stakes its prestige on its ability to reach as many Israelis as possible with its explosive projectiles, is fuming at Facebook’s suppression of where it would reach by “organic” means. The United States is monitoring information indicating that North Korea may be running a large underground military base in Syria that could be used for advanced weaponry and nuclear-related work, according to regional reports and U.S. officials tracking the situation. Regional reports have begun to surface indicating North Korea has neared completion of the construction of an underground military base located near Qardaha in Syria, the hometown of embattled Syrian President Bashar al-Assad. "According to … satellite images and a military source the underground facility has been under construction for seven years, started by the beginning if the Syrian revolution in March 2011," Zaman Al Wasl, a Syrian news outlet, reported earlier this month. "The high level of secrecy and tight guard in the North Korean base raise speculations whether it's a nuclear facility or overseas depot for North Korean weapons." U.S. officials told the Washington Free Beacon they are monitoring these reports and efforts by North Korea to help Assad rebuild Syria's chemical weapons factories. "We are aware of reports regarding possible DPRK [Democratic People's Republic of Korea] assistance to Syria to rebuild its chemical weapons capabilities," a State Department official, speaking on background, told the Free Beacon. "We take these allegations very seriously and we are working assiduously to prevent the Assad regime from obtaining material and equipment to support its chemical weapons program." The anti-Zionist, ultra-Orthodox Neturei Karta sect holds a theological view that sees the founding of the State of Israel as a violation of God’s plan for history. Israeli members of the fringe group burn Israeli flags on Independence Day. In 2013, when president Barack Obama visited Israel, it sent him a letter urging him to save the Jews from Zionism. Weiss previously led a Neturei Karta delegation to meet with Iran’s president Mahmoud Ahmadinejad. Saudi Arabia’s crown prince warned in a US television interview on Thursday that if Tehran got a nuclear weapon, his country would follow suit. The full interview will be broadcast on Sunday’s “60 Minutes” show. In the excerpt, the prince said in Arabic that Iran is “far from being equal to Saudi Arabia,” with its smaller army and economy. But, he added, Iranian spiritual leader Ayatollah Ali Khamenei is like Adolf Hitler “because he wants to expand. He wants to create his own project in the Middle East very much like Hitler who wanted to expand at the time. “Many countries around the world and in Europe did not realize how dangerous Hitler was until what happened, happened. I don’t want to see the same events happening in the Middle East,” he said. The interview was the first with a Saudi leader for a US network since 2005. Sheikh "Abu Qusay" delivered a Friday sermon in Jerusalem, in which he addressed the "dweller of the White House" and said: "We will storm your White House, stomp on your head, kill your soldiers, and capture your land," as promised by the Prophet Muhammad. The sermon was posted on the Internet on December 22.